It’s the beginning of the new semester, and you are hoping to be more organized this semester. You want to stay on track and keep your productivity from the first week to continue throughout the entire semester, but you’re not sure where to start. Well, look no further. Here are tips on how to begin the semester on the right foot to keep yourself on track for the entire semester. If you want to keep yourself on track then write it down. Whether you are making a daily to-do list or creating weekly and monthly goals, write it down so you can feel accomplished when you complete it and can mark it off. A good place to start is to think of some goals you have for the semester or even the week and put it somewhere you will continue to see it. Write down the action steps you are going to take to reach your goal and then get started. Do not let yourself get behind before the semester even starts. If you are one who likes to take handwritten notes, then go to the store and grab some fresh notebooks. Personally, I like to get a different color for each class so I can easily remember which notebook is for each class. 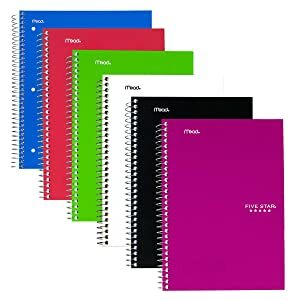 If carrying around multiple notebooks is not for you then grab a 3 or 5 subject notebook and use each section for a different class. Keeping each class separate will help you to keep your notes organized. Maybe written notes are not your thing and you prefer to type, if this is you then, create folders on your computer. Create a spring semester folder and then within it create folders for your classes and begin saving your notes to the appropriate folder. 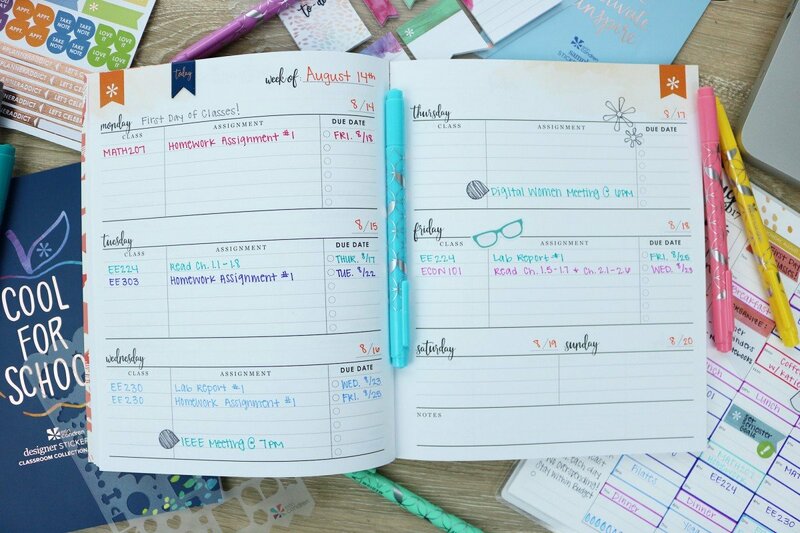 Another way to keep yourself ahead and on track is to fill in your planner before the semester gets into full swing and you are drowning in homework. Personally, I like to use different colored markers for each class (the same color as the notebook for that class), work, and organizations. If this is too much for you to keep up with, then keep it simple with one pen and just write the class title besides the assignment. Gather your syllabus and look at the schedule. Begin going through your planner and writing down when each assignment is due. Not only will this keep you from having to fill in the information later on, but it will also allow you to plan ahead because you can look and see what assignments are up and coming. Maybe each week or day is going to look different but there will be some consistency so create a base schedule and work from there each week. Print off a copy of your class schedule and then fill in the blanks. For example, if you are part of an organization that meets on Monday evenings, then write that on the schedule. This schedule could also help you when scheduling for work because you can see each day when you are free. You can even schedule in personal time such as the gym, reading, or Netflix. Having this schedule will help you get into the swing of things and to create a pattern of consistency that can lead to success.